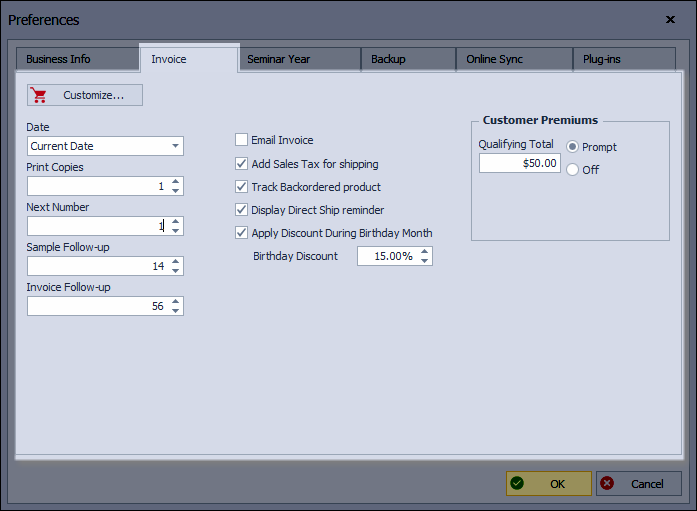 Click on the Invoices tab, and under the Customer Premiums section, choose either Prompt or Off. Enter the Qualifying Total, then click OK to accept and close Preferences. Please Note: When clicking OK on a qualified invoice, the Deluxe Mini Options form will allow you to then select from the list of premiums. Open the item's profile from the product list. From the product profile tool bar, click and select Advanced Settings from the drop-down options. Select or un-check the Deluxe Mini option. 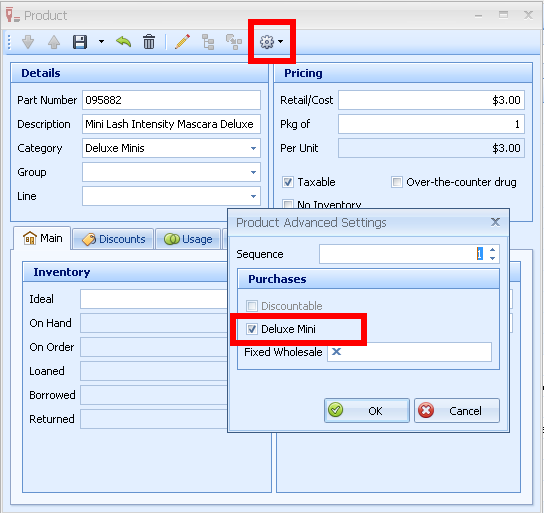 Click OK to accept and close the form, then to save the product profile.